Abstract: Cloud Machine Learning Engine is a managed service that enables you to easily build machine learning models that work on any type of data, of any size. And one of its most powerful capabilities is HyperTune, which is hyperparameter tuning as a service using Google Vizier. Hyperparameter tuning is a well known concept in machine learning and one of the cornerstones of architecting a machine learning model. A good choice of hyperparameters can really make an algorithm shine. One of the advantages of Cloud ML Engine is that it provides out-of-the-box support for hyperparameter tuning using a simple YAML configuration without any changes required in the training code. In this talk we will explain the details of Bayesian optimization for hyperparameter tuning and contrast it with more traditional but naive methods. 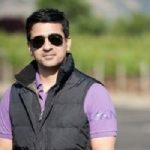 Bio: Puneith Kaul is a Senior Developer Programs Engineer on Cloud Machine Learning at Google. He currently leads the developer focused team on Cloud ML and works on range of products like Cloud ML Engine, TensorFlow and BigQuery. He holds a masters degree in Computer Science from USC with specialization in NLP & Machine Learning. Puneith has experience in implementing large scale distributed systems and applying Machine Learning in the areas ranging from Sentiment analysis to Geo-Location and Fraud. Right now he is working on applying Machine Learning in Human Genomics.